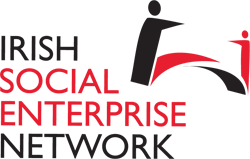 New €300k Social Enterprise Fund Launched! New scheme aims to create jobs and support social enterprise in the criminal justice sector. A new jobs initiative to support the development of social enterprises and increase employment for people with criminal convictions was launched today (Mon July 2nd). The ‘Kickstart’ Seed Fund programme will provide matching grants of up to €30,000 to organisations providing employment to former offenders and persons leaving prison. A total of €300,000 has been approved for the programme under the Dormant Accounts Disbursement Scheme. The programme was developed jointly by the Probation Service and the Irish Prison Service, as part of the Department of Justice and Equality’s Social Enterprise Strategy, ‘A New Way Forward’. While social enterprise is a new and alternative approach to reducing recidivism in Ireland, statistics from the UK indicate that 95% of ex-offenders who work in a social enterprise do not re-offend. This provides a very significant social benefit, not just for those in the criminal justice system, but also for society generally. The scheme is open to any not-for-profit organisation in the Republic of Ireland seeking to establish or grow a social enterprise to support the employment of people with criminal convictions and to provide training or other social supports. The scheme will provide grants of up to €10,000 to support Feasibility Studies and Market Research initiatives, and grants up to €30,000 for Start Up and Development Costs. A key feature of the new initiative is that it will allow applications that represent a number of Social Enterprises working in collaboration. It is intended that the scheme will enable successful projects to create commercially sustainable employment linked to a social benefit, using the social enterprise model of job delivery.